Thank you to Bay Area Friends of Tibet and other Bay Area Tibet Support Groups for organizing this special observance of Tibetan Uprising Day. I am proud to represent a district where protecting human rights is a top priority. Today we honor the courage and determination of those who stood against the Chinese Government's brutal oppression of the Tibetan People during the Lhasa Uprising 44 years ago. We also pay tribute to the thousands of Tibetans who have sacrificed and died opposing Chinese occupation, as well as all Tibetans who have suffered human rights abuses due to their religious, political or cultural beliefs or activities. I am deeply concerned about the Chinese government's continued repression of the Tibetan people. The PRC continues to commit horrible human rights abuses, including instances of torture, arbitrary arrest, detention without public trial, and lengthy detention of Tibetan nationalists for peacefully expressing their political or religious views. Two weeks ago, 78 of my colleagues in Congress and I wrote to Vice President Hu condemning the execution of Mr. Lobsang Dhondup. 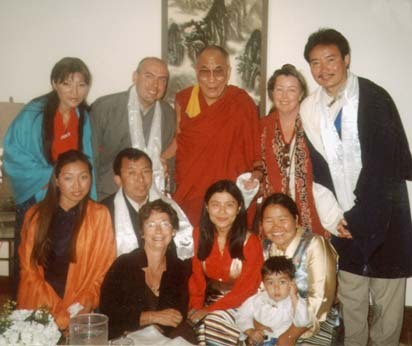 We also strongly urged him to commute the sentences of Tenzin Delek Rinpoche and Tserang Dondrup, and to release the others currently being held in connection with this case. These individuals were held incommunicado and suffered torture, and their trials were conducted under highly restrictive conditions and without counsel of their choosing. The Chinese government denied all requests by the U.S. Consulate in Chengdu to observe these legal proceedings that reportedly did not meet United Nations' minimum standards of due process. Such abuses of judicial processes and disingenuous actions on the part of the Chinese Government are not conducive to good U.S.-China relations. The plight of the Tibetan people is a challenge to the global conscience. Because of our unique position in the world, the U.S. has a special opportunity and responsibility to promote the values of liberty, equality, and human rights that we hold dear. If the U.S. government is serious about helping the Tibetan people, it must promote negotiations between the government of China and His Holiness the Dalai Lama and make self-determination for Tibetans a priority in the U.S.-China relationship. 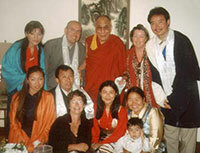 Thank you for your continued activism for the people of Tibet. Your actions, words and prayers will move mountains. Please be assured I will continue to support the aspirations of the Tibetan people to preserve their heritage and regain their freedom.